Floral and Horticulture Industry | Pacific Customs Brokers Inc.
Daily interaction with Canadian Food Inspection Agency (CFIA) to ensure the most up to-date accuracy of information. Educate suppliers through site visits, seminars and workshop invitations. Work with carriers to assist them in expediting the customs release process on shipments entering the country. 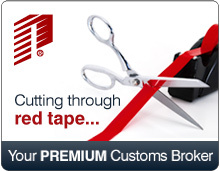 Pacific Customs Brokers is the "Preferred" customs broker for several industry associations where we provide updated customs information to directly to them. For various floral carriers, Pacific Customs Brokers is the "Preferred" customs broker. The floral carriers encourage their clients to use our services because of our premium services, floral expertise and our ALWAYS OPEN culture.